As the Avanza and Xenia, cheap car collaboration between Toyota and Daihatsu most recently, named Toyota Agya and Daihatsu Alya. Both are low-cost car which will be launched later this year. According to reliable sources, the dimensions similar to the Toyota Etios. But it is different from the detail view. Looks better than the Etios. The design was created specifically for Indonesia. The second plan of this car will be launched in December this year. More sporty front grille with large air holes at the bottom of the bumper. On either side there is fog lamp. Headlamps models taper to the rear, together with the front grille. Being the back, tail lamp is not high but somewhat elongated box. With large and small dots in it to reverse and turn signal lights. 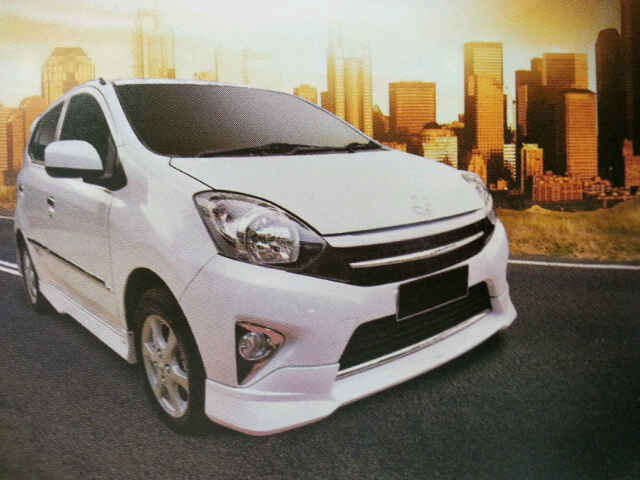 The plan car genre city car made ​​by the manufacturer Daihatsu performances will be on display at the Indonesia International Motor Show (IIMS) in September. 1,000 cc engine, with a capacity of 4 +1 passengers. Both cars are based on the government's program of Low Cost Green Car (LCGC). Every manufacturer that makes the car-themed that will receive special incentives. So it can be cheap and affordable prices. "Segment for motorcycle owners who wanta moved to the car, especially for Alya brand," said another speaker. 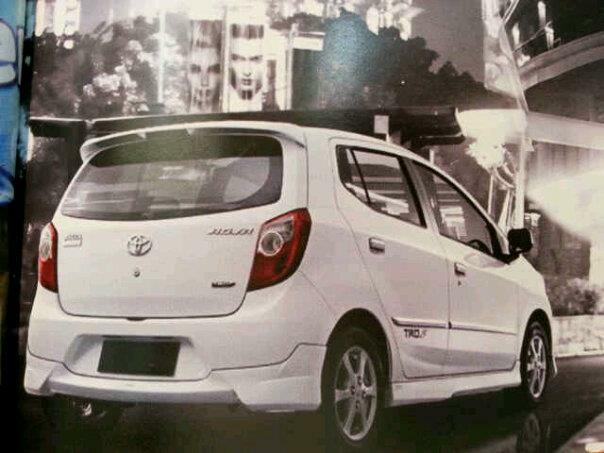 Just like the Avanza and Xenia, Agya and Alya was also no difference. Toyota products are more expensive, the range of USD 100 million, while Daihatsu Rp 70-90 million. Differences over the features and accessories. Interestingly, Agya front logo looks like a bird, like a bird Garuda. From the point of language, Agya itself means beautiful girl is stylish, fresh and dynamic. Alya being derived from Arabic which means noble. When confirmed, the Toyota and Daihatsu equally do not want to say much. Whether to Agya will use 1,200 cc engine? Could be. Because like the Avanza and Xenia again, there is a 1,500 cc Avanza Xenia was only 1,300 cc. The manufacturer has not dared to open because of government regulations await details about LCGC. Because until now is still incomplete. But according to another source, the regulation will be fine this September. So there is a possibility of the end of the year they arise.